Romania is a great place if quietness is what you are looking for. 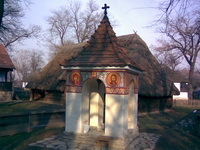 You can bond with your spiritual side in one of its many monasteries, you can connect with nature within wild landscapes, untouched by human civilization or you can make a journey through time in any of the Best Village Museums in Romania. The latter are small bits of history, preserved in their original state for centuries and are amazing. They take you back in time into the era of kings and princes, wars and heroes. You can admire the beautiful paintings inside the old churches as well as the tools and clothes that the people used long centuries ago when life was much more simple and closer to nature. Hope you will enjoy the time travel! 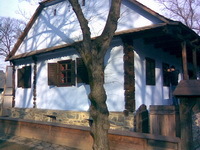 The Village Museum in Bucharest is the most important of its kind as it has almost 300 authentic peasant households from all over the country. The museum is located on the shore of Herestrau Lake, being one of the largest and oldest outdoors museums in Europe. 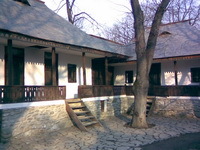 It is located in the same courtyard with another famous museum: the Museum of the Romanian Peasant, which in 1996 won the European Museum of the Year Award. Since its opening in 1936, the aim of the Village Museum has been to present the real life of the Romanian peasant, to synthesize the customs and habits of traditional villagers. The households were minutely recreated, with the help of inhabitants from the area of origin of the house. No detail was overlooked and a great importance was placed on preserving the authenticity of the buildings. The oldest household included in the museum goes back to the seventeen century, representing Zapodeni village, Vaslui County in Moldavia. Thus, once you start walking on the alleys of the museums you automatically enter a legendary time, when life was simpler and more relaxed. You get to see how people were living centuries ago and to evade for a couple of hours the fast pace of the twenty-first century. The museum is best to be visited on holidays such as Dragobete (the Romanian equivalent of Saint Valentine’s Day), Christmas, or Easter when exhibitions, fairs or shows are being held and the rural atmosphere is even more vividly recreated. There are a lot of village museums in Romania as every region is keen on displaying its traditions and on teaching both visitors and local people about the history of the places. 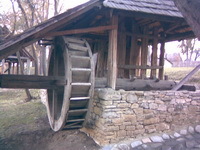 What you can also find within these museums are samples of the Romanian peasant’s artistic skills and talent. Indeed, you may see hand-made traditional costumes, nicely decorated pottery or wooden objects and so on and so forth. You get to learn a lot about Romanian traditions and history seeing how large families could live in very small houses, eating from wooden plates with wooden spoons and on very low wooden tables. And though the conditions were precarious they didn’t complain as for the Romanian peasant, then and now, simplicity was and is an essential criterion of living. Some might see it as narrow-mindedness, other as a brilliant philosophy of living a stress-free, peaceful life. Either way, you can also experience this philosophy in the Best Village Museums in Romania, more precisely in Sibiu, Cluj Napoca, Bran (within the courtyard of Dracula’s Castle) or Galati (the museum here blends typical Romanian households with those of the Moldavian people from across the border). In some cases, it’s enough to take a stroll in some remote Romanian villages to see how old peasants still cherish traditions and customs handed down from generation to generation. Though they don’t seem to belong to this century, don’t hurry into judging them: ponder a few moments over the thought of their tranquility and maybe you will understand why they are so reluctant to give up their life-style.